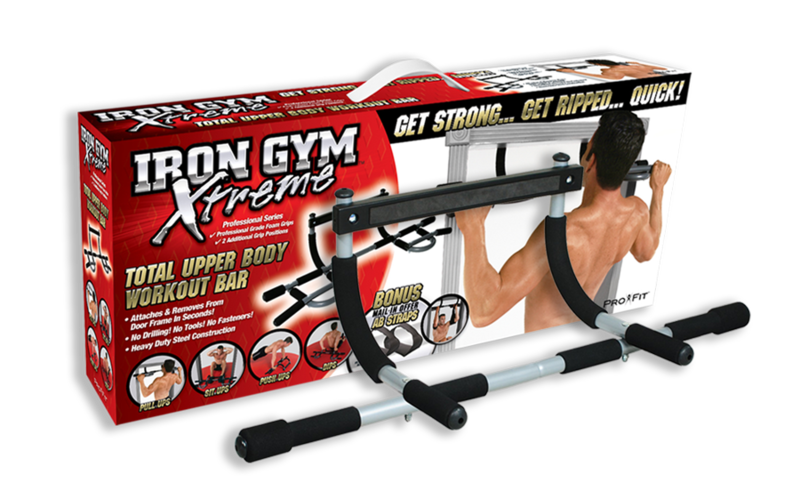 Iron Gym the multifunction training system that raises the bar on upper body exercises. Turns any door into your own personal gym in just seconds. Its unique design wraps around your door frame and uses leverage so there are no screws and no damage to your door. Iron Gym Strengthens and tones your chest, arms, shoulders, back, abs and more. Features 3 different grip positions - narrow grip, wide grip and neutral - so you can switch up your routine and keep challenging your muscles.